Bleaching nowadays allows everybody to have a brilliant and white smile. With the actual methods bleaching is possible withouth endangering the health oft he teeth and is therefore increasingly popular. Teeth can be discoloured as a result of eating, drinking or smoking but this can also happen naturally through aging. Drinking red wine or coffee or smoking have an especially strong discolouration effect. Some discolorations cannot be removed by simply brushing the teeth or undergoing professional cleaning. With bleaching, one can remove these discolorations without actually removing tooth substance for a whiter, brighter smile. A prerequisite to bleaching is healthy teeth - meaning that all cavities are repaired and dental hygiene is satisfactory. When bleaching treatments are well planned and the necessary restorative treatments and cleanings are made, the results from these treatments are fantastic! How long does the brightening effect last? The length oft the brightening is dependent on your genetical disposition, your personal dental hygiene as well as your habits regarding stronly discolouring food and smoking. 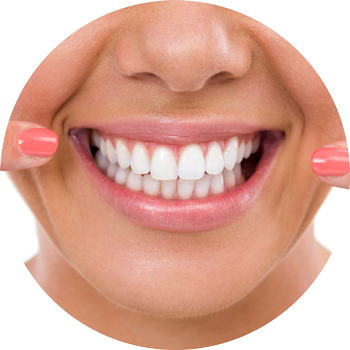 Bleaching brightens the teeth and does not cover them white as some other available products. We can offer you two different methods. In-office or power bleaching is for people with time-pressed schedules. The treatment takes place in the dental office and takes approximately 1-2 hours. In the dental office we create a tooth tray that the patient can use on a daily basis at home. The treatment time can vary between patients, but takes normally 2 to 3 weeks.